Fly fishing in Louisiana isn’t all about lake or river fishing for Bass and Trout, as you might think. This makes a bit of an oddity when it comes to fly fishing, which is all the more reason to check it out. 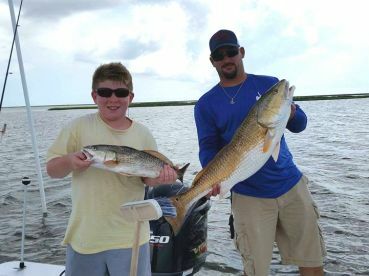 Interestingly enough, it’s intertwined with the booming angling scene in South Louisiana and hotspots like New Orleans. 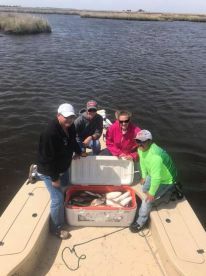 Sure enough, you can find plenty of Bass in places like the Tangipahoa River, but make sure to drop down south if you’re interested in trying something a bit different. 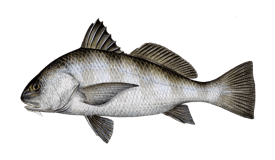 New Orleans is the angling capital of Louisiana — this is taken as a given by most anglers. Same goes for fly fishing, and you’ll quickly find out why Louisiana is known as the Bayou State. 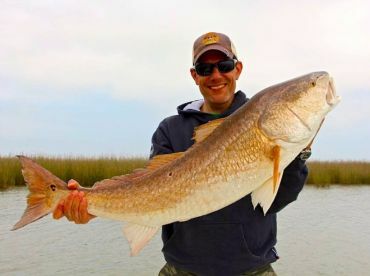 Some New Orleans fly fishing guides will go quite far out in search of the very best fishing spots. One of those spots is the Biloxi Marsh, located some 20 miles from the city center. 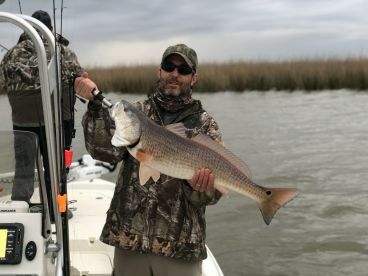 It is the quintessential Louisiana fly fishing destination, where you can fish for Reds, Jacks, Black Drum, and Sheepshead. Venice is known throughout the country as a top offshore destination, but what you might not know is that it packs just as much of a punch inshore, too. 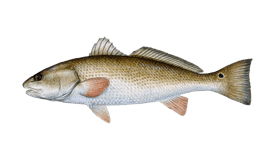 There’s a whole bunch of bayous here, all of them absolutely crawling with Redfish, Flounder, Speckled Trout and more besides. Jokingly referred to as “The end of the World,” Venice can very well be the end of your search for a great fly fishing destination. The unassuming city of Houma lies some 50 miles southwest of New Orleans. 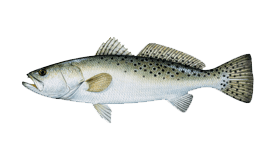 While not all that well-known as a fishing destination on its own, there’s enough marshland on the southern end for an entire army of anglers to have a good time. Thanks to not being all that represented in the public eye, it makes for a more laid back and private experience for those who like their peace and quiet. 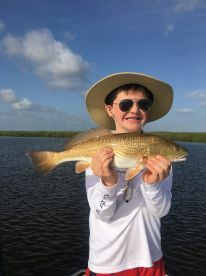 For a thrilling Louisiana Redfish fly fishing experience, make sure to visit no earlier than the early fall weeks, when the Bull Reds have moved into shallower waters in the marshland. This means you’ll be seeing a lot of them in great numbers. If you want to get a taste of the high season, November and December are when Bull Reds are absolutely on fire. 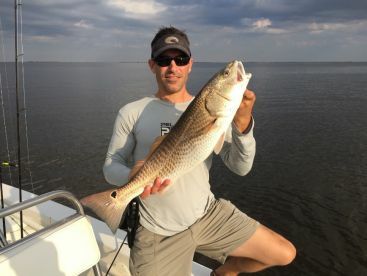 January is another excellent month for fly fishing Redfish, but the weather is known to be a bit more fickle than usual. Colder weather is your friend as you can expect the waters to be crystal-clear, making sight casting a breeze. When you’re fishing Louisiana on the fly in the winter, your basic weapon of choice will be a 9wt rod. 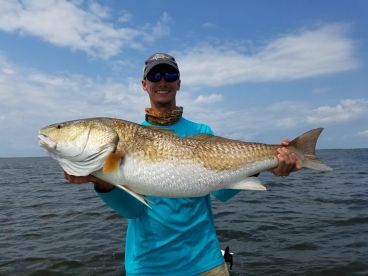 Most Louisiana fly fishing guides will also have a 10wt handy for Bull Reds, which reach over 30lb. For shallow water fishing where the catch doesn’t go over the 20lb mark, you can absolutely make due with an 8wt rod. Conditions on the day can always vary, but these basic guidelines should be quite enough to get you started. As for flies, don’t forget the timeless adage - bigger flies for bigger fish. This is especially pertinent for Bull Redfish that won’t chase your fly due to their poor eyesight. Feel free to go with more extravagant colors (fluorescent orange, purple, bright yellow) in the winter - they work wonders! 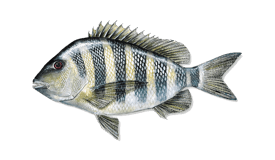 You can also feel free to use poppers if you like, seeing the fish scramble topwater is all kinds of fun. Don’t worry too much if you’re inexperienced in the ways of the fly - plenty of local captains are also great instructors who can give you pointers. There’s no reason to miss out on some of the best fishing in the Bayou State, so come on down and tie some flies!